A forum posted by Matthew D. Innis which celebrates excellence in Representational Art - past, present, and future. I Don't Know Why You Say Good-Bye . . . When I began writing the Underpaintings blog six years ago, it was, in part, a reaction to a dilemma I was facing. It was just a few months before the expected birth of my second son, and I knew that with his arrival, my art career – for all intents and purposes – would be coming to an end. My wife and I knew that having the family we had always wanted would require sacrifices on both our parts, and though I had known for some time that this upcoming life-change was unavoidable considering our circumstances, it did not make facing my departure from painting any easier. The state of turmoil I was in was awful: I was feeling devastated that the separation from my passion was imminent, and also guilt-ridden that my joy in having a second, healthy child was being marred by thoughts that felt so selfish. Someday, I told myself, after retiring from some other occupation, I might pick up the brush again, but such far off promises did little to improve the situation. I simply did not want to say good-bye to art. At about the same time I was facing my new future, a painter friend of mine who was unaware of the difficulty I was experiencing, suggested I start writing a blog. She had just begun her own, and she thought that I too might have something to contribute to the blogosphere. I had my doubts, but, I decided to give it a try. 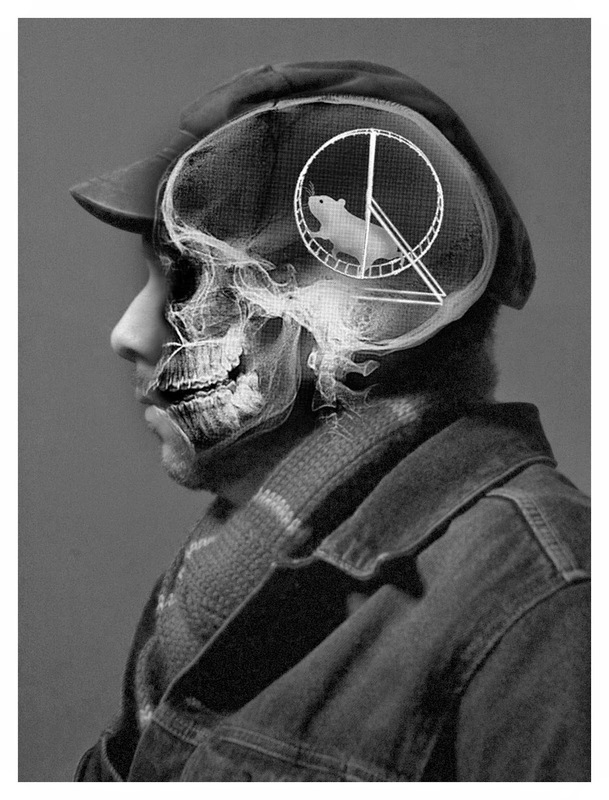 Choosing a target audience for the blog was easy; I decided to write it for my younger self. Like so many of my generation, I had attended a university looking for an art education, only to be disappointed by the lack of practical training. After being graduated, I spent years teaching myself to paint through practice, reading, and study, but by the time I almost felt capable of creating the art I had always wanted, I also found myself at the premature curtain-call of my career. So I chose to impart the information that I wished I had learned in college, and I hoped that in so doing, I might be able to reach out and help young artists who were still in school and feeling as frustrated as I had been. It was my sincere hope that by sharing what I had gained in the intervening years since art school, that I could give younger artists a leg-up, so that when they were older, and possibly considering a family, that their art careers would be further ahead than mine was when I had faced my dilemma. I had anticipated publishing about a dozen posts, and that by the last one, I would be at a loss for topics and exhausted from writing. The blog would then remain on the internet forever, I assumed, somewhere lost amongst all that data, and, if over the course of time, it helped a couple-of-dozen people, I could at least say that I had done my part in giving back to the art world. I never expected that so many people would discover Underpaintings, nor that so many would find something of value in it. I also never expected that I would find myself enjoying creating the blog as much as I do. All of you deserve my thanks for your support and encouragement of this endeavor I have undertaken. I am truly grateful that you helped me to find a way to remain in the arts at a time when I had seen no such possibility in my future. From the start, I made a commitment to myself and to you, the reader, to make Underpaintings a reliable and good source for information. But to be able to create something of which I am proud takes a lot of time. Between generating ideas, gathering material, doing research, and actually writing, I spend hours per day working on the blog. Unfortunately, over the past six years it has become more and more difficult to allocate the time that I feel is so necessary to the creation of Underpaintings. Obligations to my day job, responsibilities to my family, and the need to sleep at least four hours per night, take up the majority of each of my days. And now, at a time when I feel like the blog should be expanding, it is instead shrinking due to the decreased time I am able to dedicate to its maintenance. After seeking out much advice, and deliberating over my options for more than two years, I have decided that my best chance to keep Underpaintings going is to monetize it as a subscription service. This was not an easy decision to make, and I am sure that this choice will regrettably turn some of the blog's current followers away. It was never my intention to ask anyone to pay for this information, but this has become a necessary evil; without remuneration, I will not be able to buy back the time from my schedule that is necessary to continue publishing Underpaintings. I have decided to offer subscriptions to Underpaintings for $24 a year. That is just $2 a month – much less than what most of us are willing to pay for a single cup of name-brand coffee. The proceeds from these sales will go toward things like replacing the outdated and damaged equipment I use to do my work, and to pay for services like high-speed internet service and online data storage, as well as for things like babysitting, which would provide me with a few more hours per week so that I can write. I would then have the opportunity to finish the many posts saved in my drafts folder, review the large number of books and DVDs I have had sitting on my bookshelf for the past year, and to research and write about the life and techniques of the many representational artists we all deserve to know better. 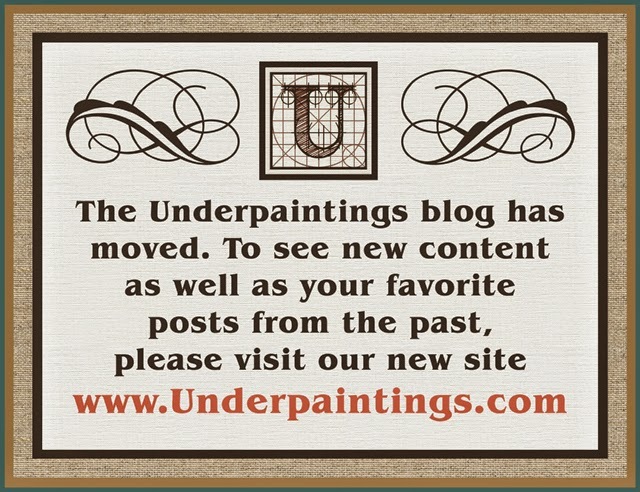 The new Underpaintings site (www.underpaintings.com) is already up and running, and all are invited to visit. Non-subscribers to the site will have full access to the listing of current museum and gallery shows (What's on View) and the to the listing of recommended workshops (Workshop Bulletin Board). They will also have limited access to the recap of this year's Portrait Society of America Annual Conference for a six-month period after publishing. Full subscribers will have have access to all the same, plus access to all of the new articles as they are posted, as well as to the over 800 posts that are currently archived. Underpaintings.com officially opens today, June 1st, but the old site, underpaintings.blogspot.com, will remain viewable until June 7th. This may seem sudden to everyone, but in truth, this was a change that was long-in-the-making. With luck, this extra week will help everyone (including myself) adapt to the transition. I hope that my passion for and commitment to Underpaintings has been made clear over the past six years, and that those who have encouraged my efforts in the past realize that by me having more resources at my disposal, I would have even more to offer the readers through the blog. I ask you then to please show me your continued support by visiting the new Underpaintings, and by joining me as together we set sail on this new and exciting course! New Traditions Art Panels, Inc.